If you want to remodel your home and go for a high-fashion look, installing hardwood floors is a wonderful way to do so. Hiring a professional flooring contractor to do the job is very important. Licensed contractors will follow the standards of the wood flooring association to ensure the safety and security of their customers. Hardwood floors are easy to keep clean. They can be swept, steam-cleaned, or vacuumed to remove any dirt or debris that has accumulated. Not having to clean very often while still knowing that your floors are not harboring any environmental hazards like dust mites or pet dander is an amazing benefit. What makes wood floors even easier to maintain is the fact that they are significantly more stain resistant than other types of flooring. If you spill something, all you need to do is wipe it up. Being durable is one of the primary reasons why homeowners choose to upgrade to hardwood floors. One of the main reasons this type of flooring is so easy to maintain is partly due to their durability. Sure, they can get scratched or dented, but it’s not easy to do. If you take proper care of your wood floors, the hard surface can last for decades. Hardwood flooring does not trap dust, animal dander, pollen, particulate matter or other common allergens. This means that it’s significantly easier to improve your indoor air quality. Wood floors are a must for allergy sufferers. One of the primary benefits of wood flooring is its versatility to adapt to almost every interior design theme in your home. No matter how often you are inspired to change the paint, wall art, decorative accents or other decor in your home, the floors will always look good and fit your desired theme. In addition, not only will wood flooring not clash with your décor, but you have a wide range of colors, shades, and species to choose from. With real hardwood floors, you don’t get a factory pattern that repeats every so often. You get natural beauty available with a variety of shades, swirls, and grains that add character to your home. Hardwood floors can be refinished rather than replaced. This is a huge benefit as the cost to refinish is significantly lower than buying and installing a new floor. It is also beneficial because it gives you the chance to drastically change your home without spending lots of money. 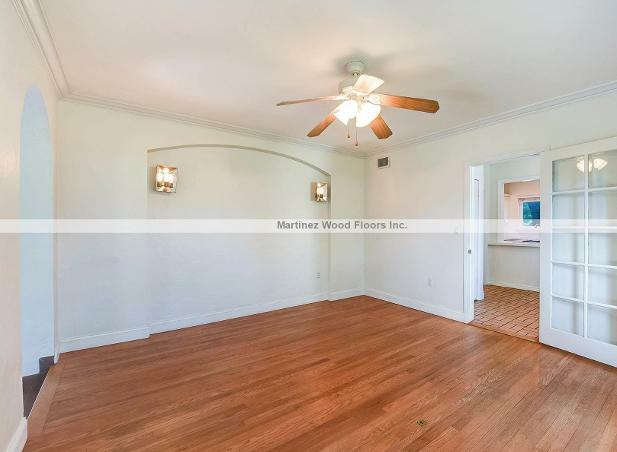 Or maybe you just bought a house but don’t like the color of the wood floors, all you have to do is sand the color off and stain them to your liking. It’s as easy as that, and much cheaper than replacing the whole thing. Is Installing Hardwood Floors the Best Choice for You? If you’re thinking about upgrading your home, installing hardwoods are a great choice that come with a long list of benefits. 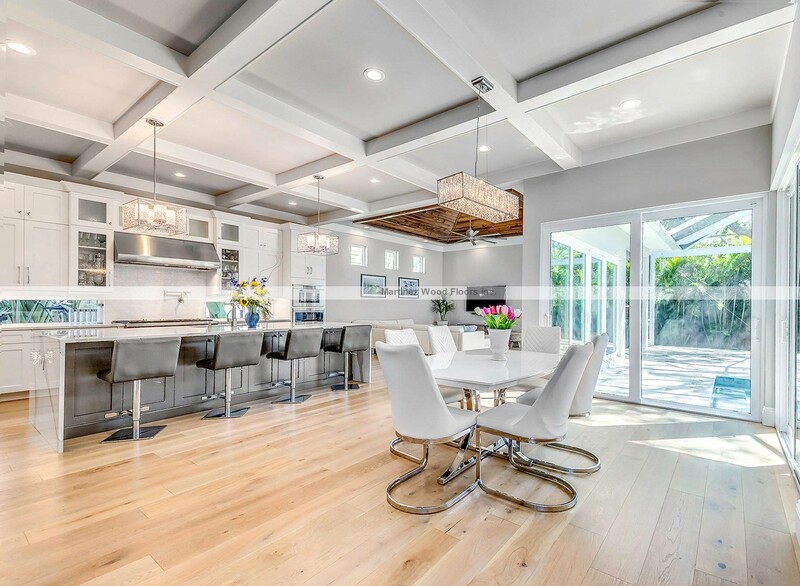 If you are looking for a floor that provide timeless beauty, increase the value of your home, are easy to clean, and designed to last for many decades, then it’s hard to go wrong with wood floors. Give us a call to help you with your installation process! It will be easy and you will love it! 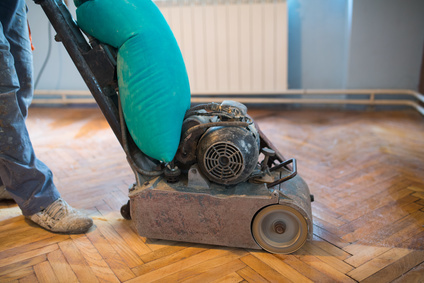 Sanding and refinishing hardwood floors can seem difficult for homeowners that haven't done or seen it before There are many steps involved in sanding and preparing newly installed or pre-existing wood floors. 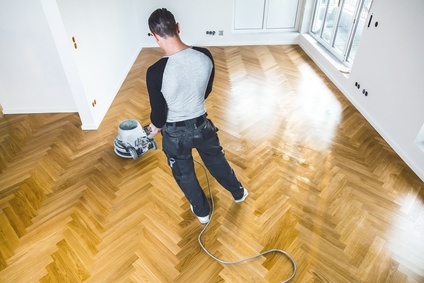 Unless you have vast experience–and the right tools and helpers–hardwood floor refinishing is not a job you should do on your own. It’s energy and time-intensive.The multi-step process needs to be done precisely, or you could set the stage for a headache-inducing “redo” of the job. You could even hurt yourself in the process. For instance, if you don’t use proper ventilation when you sand, you will aerosolize tiny particles of organic compounds into your ventilation system. This micro-grit can then cause create breathing problems and also coat your cabinets and appliances with filmy dust. Choose the wrong stain or wrong tools for the job, and you will waste a lot of time and money. Refinishing hardwood floors takes time, patience, and the proper tools and techniques, but the results can be extraordinary.